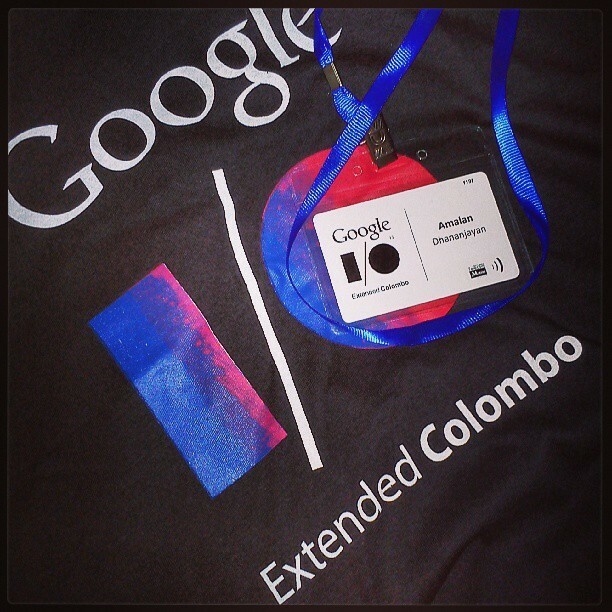 It is a great pleasure for me to attend the Google I/O conference held on Colombo Sri Lanka for the first time in the history. The event was very colorful when we first approached the Sri Lanka Foundation Institute at Colombo 07. 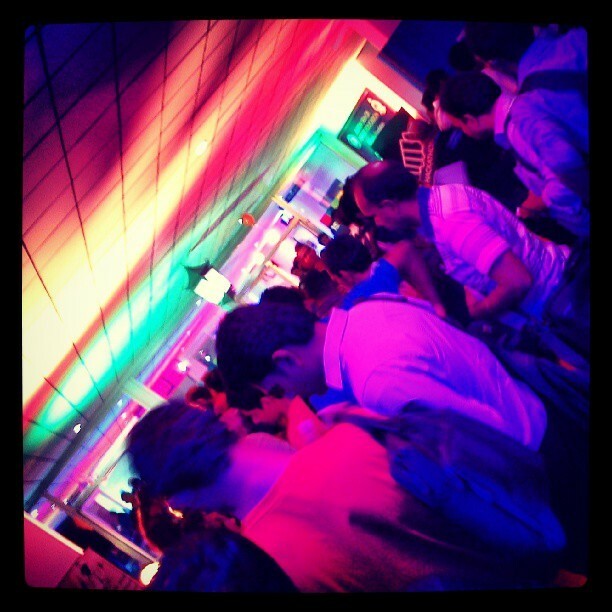 At the entrance we are given the prestige Google I/O IDs and T-Shirts. Which we attended the meeting proudly wearing it over. 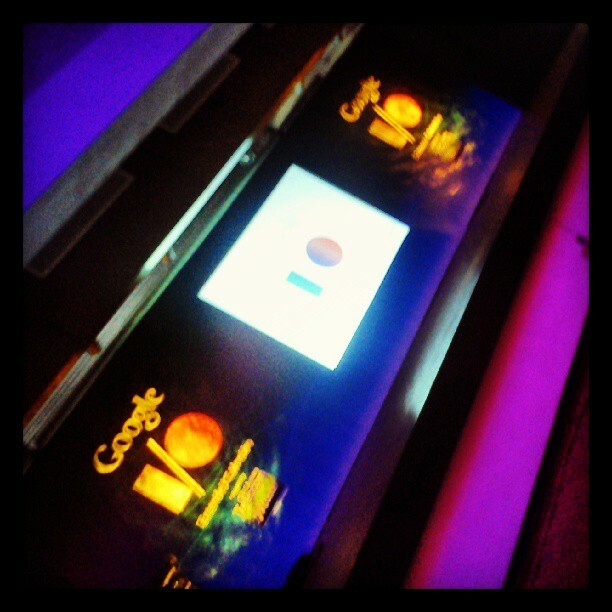 As the first event, Google IO 2012 Key Note is projected till the Google IO 2013 starts in Sanfransisco. Then a welcome speech is made by Rohan. We had a count down for the final 20 seconds before the event started and it was really fun. Then the Google IO 2013 Key Note started and was very interesting to know the new things that are on the way for the year, Google Services with more new APIs to enhance performance of google maps, a brand new Google Game service to give some cool features like multiplayer mode and score sync between google plus friends, V9 compression which gives you high quality video with less data and many more. 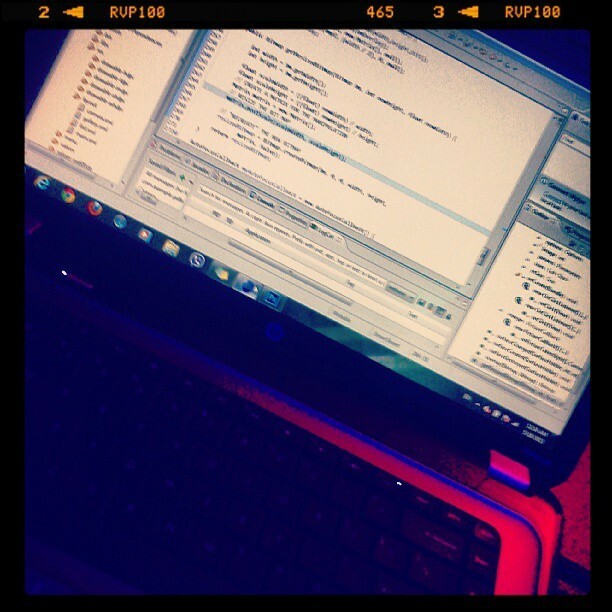 Then I have to leave for the Hackathon session, which spanned for hours where I enjoyed developing a cool App, sadly I could not win the prize of Samsung Galaxy S3. Met lots of people from various part of the country participating energetically in the event. The event ended with the prize giving for the hackathon winners. It’s a rare site to see such a large group of people participate in an event which started at 7.00 pm and ended at 6.00 am. Anyway I enjoyed the event very much and hope to attend more in future. Guys don’t miss the next Google IO. May your Dream Come true…!